Easy ways to make Indian food healthier! HomeHealthEasy ways to make Indian food healthier! Indian food is known the world over for its taste, complexity, texture and of course, its lingering fragrance. Few other cuisines in the world can boast such diversity. In a weekly meal plan, even if every breakfast, lunch and dinner item were Indian in its origin, would you ever run out of variety in each meal? That’s of course the good side of Indian food; but there also lies a dark underside to Indian food. The over-reliance on masalas, longer than usual cooking times, and the sheer amount of cooking fat like oils, can sometimes make local food, both heavy and unhealthy. But fear not, there are ways where you can indulge in your favourite regional recipes in a healthier manner, without compromising on taste. The gravy is quite literally a staple when it comes to Indian food. The rich and thick gravies that accompany steamed rice, are a combination made in culinary heaven, but healthy hell! The base used in most gravies is heavy cream, butter or cashew paste! Simplify your bases by using lighter, more flavour filled tomato, onion or yogurt. They are not only simpler to make but also are also extremely easy to digest. 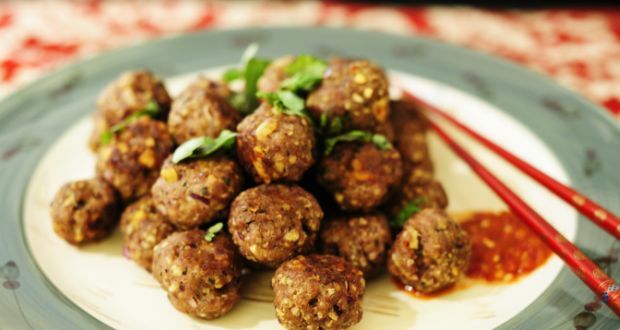 Meat based Indian dishes are excellent in taste, but are quite unhealthy overall. For the protein element of your Indian meal, you can easily use vegetarian protein options like lentils, legumes Chickpeas is one of my most favourite and versatile legume of choice for both protein and taste. The goal is to keep the meal lighter, without compromising on taste and nutritional value. A step further switch to ancient grains like Millets ( Bajra, Jowar, Barley) and the carb is no longer a bad carb but a great precursor to good health! “Grilled over fried” has become an international mantra, where meat and a healthier way of consuming it is concerned. Well we Indians have perfected grilled food for hundreds (if not thousands of years) with the tandoor. A simple example of great, tasty and healthy Indian grilling is the evergreen (or red) tandoori chicken; a simple marinade of yogurt and spices, followed by a quick trip into the tandoor, yields a quick, succulent and healthy chicken dish! As Indians, we oftentimes choose amazing ingredients but end up systematically destroying their nutritional value, by overcooking them, or simply adding too many masalas. The key to good eating is fresh ingredients, that are minimally cooked. So add more raitas, salads (raw or boiled), and lighter gravies to your diet. Use lighter masalas, simplify your cooking using fewer spices so the taste of your produce can shine through. There is a reason why traditional Chinese cuisine is considered a healthy alternative. It is the use of a high flame, over a short time, that helps preserve the nutritional value of the ingredients, and seals in the taste as well. Try a hybrid wok-based Indian inspired stir-fry with ground spices and Indian veggies like carrots, cauliflower, peas and spinach, in combination with onions, EV olive oil and a spice mix. Yummy and fusion! Indian food need not be heavy, time consuming and simply tedious to make, it is all in the substitutions that you make. As always in case of any queries in relation to eating patterns, weight management and any facet of health, feel free to give me a shout out in the comments section below or send me a query in the get in touch section, and I’ll be more than happy to get back to you!